Do you know the difference between marijuana and hemp? The confusion between those two terms has cost us the benefits of industrial hemp, which can do a lot of what other materials are doing with much less ecological damage than what exists now. 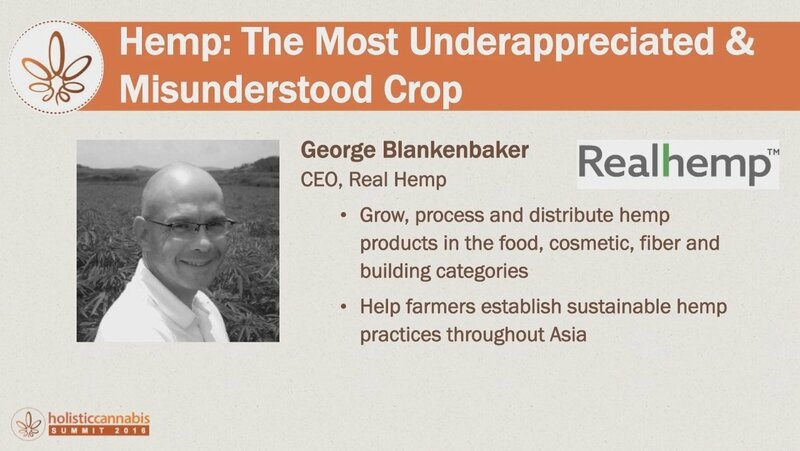 According to George Blankenbaker, president of Realhemp, Inc, hemp is the most misunderstood and under appreciated crop there is. And the confusion between marijuana or cannabis and hemp has made growing hemp without THC illegal only in this country, the USA. We get most of our hemp products, especially hemp seeds and oils, from Canada and some from Europe. Both regions have relatively thriving hemp agricultural and industrial enterprises, and even theirs are not enough to sooth an ecologically unbalanced planet. China grows 90 percent of the world's hemp. Blakenbaker's interview was done by the Cannabis Summit among the several interviews and gifts offered elucidating medical cannabis' properties and its surrounding legal and social issues. What he reveals that has been kept from humanity in addition to cannabis' medicinal qualities is staggering.